These printable Halloween coupons for kids are a great way to get kids to willingly give up some of their candy. Your kids can trade in candy in exchange for coupons that give them something better — feeling important. Kid coupons are one of my favorite parenting tools. Not only are they free, they allow you to give your kids special privileges without spoiling them. Plus, when your kids start cashing in coupons for time with you, it’s a good indication that other priorities have gotten in the way of quality time lately. Cashing in a coupon for some alone time with me is an easy way for my kids to let me know when they’re starting to feel neglected. My kids have a few favorite coupons they look for whenever I give them out as a reward or as gift for Valentine’s Day or Easter. I used all of their favorites to create these pre-filled Halloween kid coupons. The coupons above are some of the things my kids love best, but the great thing about kids is that they’re all unique! 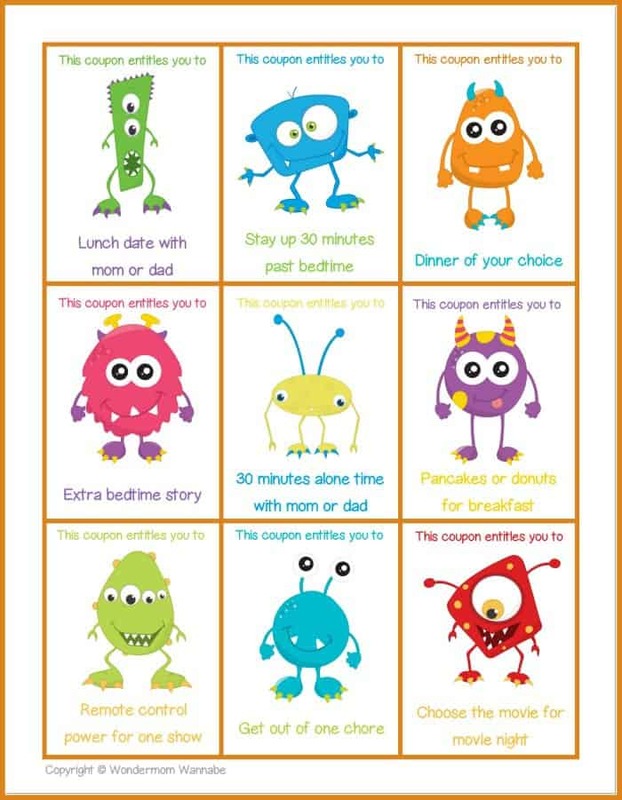 Feel free to create your own coupons with the blank Halloween coupons for kids below. I’d love to hear your ideas since I create coupons for kids several times throughout the year. Please share your ideas in the comments so I can include your suggestions in my future kid coupons. One reader asked for an editable version so she could type rather than write in the coupon rewards. For those of you who would like this capability, I’ve added an editable version to my store. You can purchase it below. 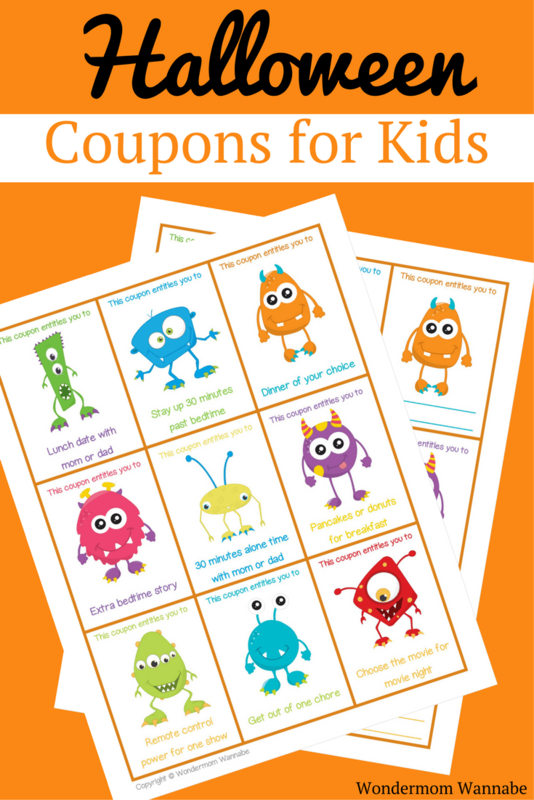 If you like these Halloween kid coupons, check out my other coupons for kids. My kids enjoy scavenger hunts. It’s a fun outdoor activity and I’ve created a different one for each season. 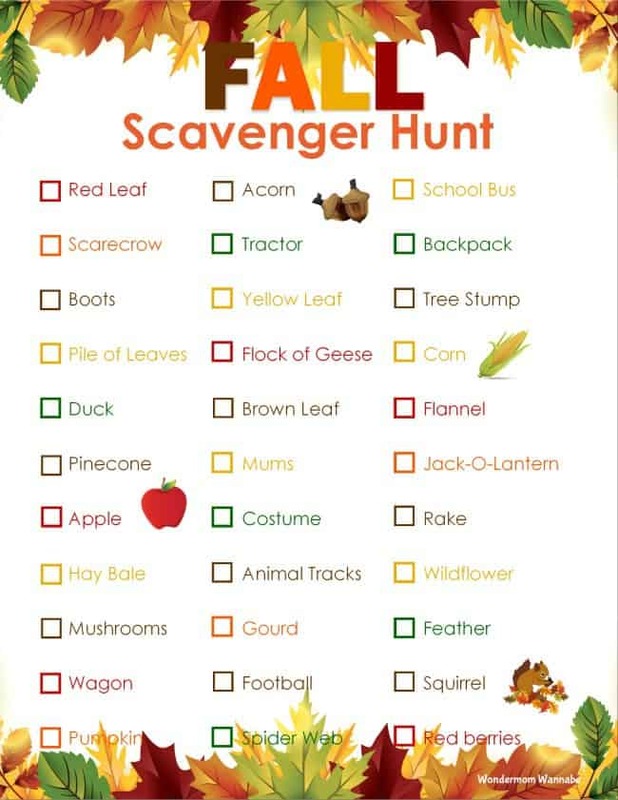 You can download the Fall scavenger hunt here. Corine, i do not have kids but wow i really love the coupons idea!! I wish my mom and dad had remembered that!! Thank you so much! I need to start being more clever. As my kids get older, some of these tricks are becoming less effective. I do hope that when and if you have kids of your own that some of these ideas will help make your parenting life easier. ? 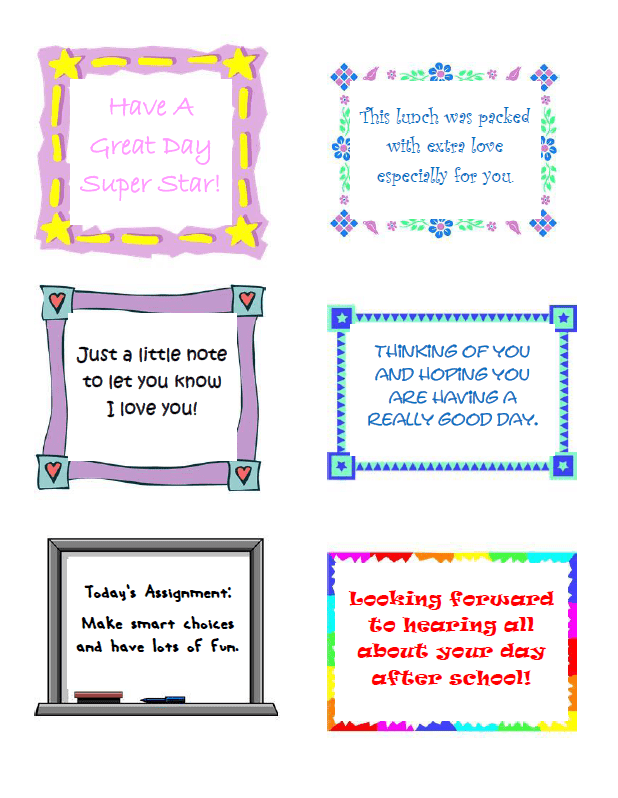 Hi Debbie, I do create editable versions of some of my printables and make them available for a small fee (99 cents). If I have time today, I’ll convert this to an editable file and add the option here and also to my store where I house the others.